The Neurosurgical Nurse Practitioner role has been developed by the Neurosurgeons at BrizBrain & Spine to guide and assist you and your family during treatment. The Department of Health and Ageing have accredited experienced Oncology Registered Nurses with a Masters Degree in Nursing to collaborate with medical specialists to treat tumour patients. 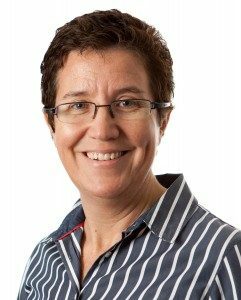 BrizBrain & Spine has sought and sponsored the accreditation of Vivien Biggs in the role as an accredited Neurosurgical Nurse Practitioner. The practice has long recognised the need for individual and co-ordinated nursing care for neurosurgical patients and has developed the role within the practice over the past ten years. The recognition of the role by medical authorities has justified our present and past commitment to co-ordinate care for patients and their families. Vivien brings her extensive neurosurgical and neuro-oncology experience to the practice to meet our ‘best of care’ standards. This role will add to our clinical support during the diagnosis, treatment and rehabilitation stages of treatment. WHAT IS A NEUROSURGICAL NURSE PRACTITIONER? Our Neurosurgical Nurse Practitioner works in collaboration with Neurosurgeons and other medical specialists, adding nursing expertise to our approach to coordinated care. The BrizBrain & Spine practice leads the neurosurgical community in seeking this accreditation and supporting the role to meet our high standard of clinical practice. WHAT WILL THE NEUROSURGICAL NURSE PRACTITIONER DO FOR ME? Our Neurosurgical Nurse Practitioner will visit you and your family during your admission to hospital. She will co-ordinate your care between your treating medical specialists, hospital ward staff and other treatment providers such as physiotherapists, speech therapists, occupational therapists etc. Our Nurse Practitioner will provide education and support to you and your family and will also be available to you following discharge from hospital should you require additional assistance or support. A formal follow-up consultation after discharge will be arranged. WHY IS IT SO IMPORTANT FOR ME TO HAVE THIS NURSE CARE FOR ME? All conditions effecting the brain are very complex and have a great impact on both the patient and their families. Many research studies involving patients with neurosurgical conditions, recommend that a key health professional be assigned to patients and their carers to assist them through their treatment. In the area of neuro-oncology research studies and published clinical guidelines¹ have shown improved health outcomes for brain tumour patients that receive individual nursing care during the time of their treatment. Our commitment to this role remains steadfast and we believe it is a key feature of our clinical services. WHAT COSTS WILL I INCUR FROM THE NURSE PRACTITIONER? The Department of Health and Ageing’s accreditation of the role has allowed the Nurse Practitioner to bill in their own right for outpatient services, excluding hospital inpatient services. The Medical Benefits Schedule (MBS) of items does not cover the cost of providing inpatient services. The Federal Government has not included a rebate for inpatient support, an activity critically central to the role. The neurosurgical, medical and patient community continue to lobby for a change to the billing rebates. In relation to post-operative consultations, the practice will bill for the Nurse Practitioner attendances in accordance with the bulk-billed fees for the related MBS items. The practice will charge an administrative fee for $10 to cover the operating costs in supporting the role. This will not include the initial review following hospital discharge, which is included in the inpatient service fee. To discuss these costs further, please contact BrizBrain & Spine on 07 3833 2500. ¹Australian Cancer Network Adult Brain Tumour Guidelines Working Party. Clinical Practice Guidelines for the Management of Adult Gliomas: Astrocytomas and Oligodendrogliomas. Cancer Council Australia, Australian Cancer Network and Clinical Oncological Society of Australia Inc., Sydney, 2009.